Mastering Strategic Management by Dave Ketchen and Jeremy Short is designed to enhance student engagement in three innovative ways. The first is through visual adaptations of the key content in the book. It is well documented that many of today’s students are visual learners. To meet students’ wants and needs (and thereby create a much better teaching experience for professors), Mastering Strategic Management contains multiple graphic concept pages in ever section of every chapter of the book. Think of graphic concept pages as almost like info-graphics for key concepts in each section. This feature sets Mastering Strategic Management apart from any strategic management book on the market today. The second way Dave and Jeremy capture student interest through their textbook is by using a real-world company as the running example in each chapter. For example, Chapter 1 in Mastering Strategic Management utilizes Apple to harness the conceptual coverage of the chapter in a running, corporate, application to which students will relate. The third inventive way Mastering Strategic Management holds the attention of strategic management students is through the “strategy at the movies” feature in each chapter that links course concepts with a popular motion picture. The zip file contains a version of the book in HTML. 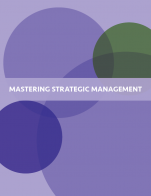 Mastering Strategic Management cover by University of Minnesota Libraries is under a CC BY-NC-SA 4.0 Licence (https://creativecommons.org/licenses/by-nc-sa/4.0/). Mastering Strategic Management by Dave Ketchen , Auburn University, Jeremy Short , University of Oklahoma is licensed under a Creative Commons Attribution-NonCommercial-ShareAlike 4.0 International License, except where otherwise noted. 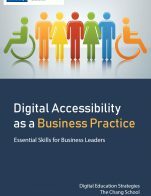 I found this text to be well-written and high quality, with up-to-date material, examples and case studies. 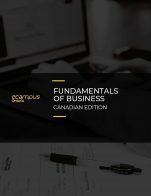 In my experience, both as an instructor and retired practitioner, this textbook covers all basic concepts and topics at an appropriate depth for an Introduction to Business Strategy / Policy course. The backend - index, glossary, on-screen reader and search engine - were accurate and faultless. As with any USA based textbook, and to be fair hardly unique to this one, the content is USA-centric. Examples and in-text case studies do tend to examine issues through the lens of USA companies, and occasionally USA laws/regulations. Within this caveat, all material was well-edited, error-free, unbiased and including appropriate supplemental instructor material. As with most introductory courses, the basic components of Business Strategy tend not to change rapidly. New tools, techniques, occasionally fads, as well as the inevitable rebranding (i.e. Management by Objectives [MBO] becomes Outcome Based Key Performance Indicators) are adopted by Business relatively slowly. The textbook covers certain recent advances in strategic and policy, as appropriate for a textbook at an introductory level. Looking forward, advances to this textbook would tend to focus on maintaining current and timeliness of in-text examples, update trends and data, and incorporate emergent strategies which could emerge in response to changing economic, business or global events, such as a global recession. 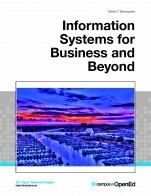 The textbook to be quite readable and engaging, and makes good use of current business examples. Terms and business jargon are properly defined, both within the text and by using small ‘call-out’ (?) boxes on the side of pages and through the use of examples. The concepts and ideas in the textbook are presented in a clear and logical order. Terminology is used consistently. As well, I found the ‘readability’ of the textbook to be internally consistent – with no sense that different authors/editors had written chapters or sections. 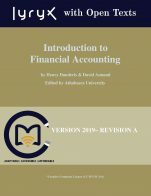 The material is covered in 12 chapters, with 2 to 4 sections each, making it easy to assign weekly readings and cover the content within one semester. Chapters are fairly consistent in length and complexity. Instructors have the option to re-organize the course / subject order prior to students downloading the textbook should they wish. The text is not overly self-referential. The flow or order of idea/concept presentation is consistent to most Strategy texts, and appropriate for an introductory textbook. Within Chapter layout is consistent; each chapter begins with “Learning Outcomes” and concludes with “Key Takeaways” and exercises, which can be assigned as homework. Neither I, nor any of my students, experienced any interface issues at all. The underlying technology appeared faultless. The navigation process is logical and all images and text were clear and high quality, even on smaller e-reading devices. As well, color use is consistent, assisting in overall navigation. Interestingly, as the first e-textbook for NWCC Business, my students appreciated the ability to perform in-text searches and hyper-link to external electronic references (in text URLs), as well as textbook’s cost of course! This text is not culturally or sexually insensitive, or offensive. Overall, examples are based on business culture with limited applicability on cultural relevance. One chapter focuses on Ethics and Social Responsibility and examines these issues from a strategic perspective, with examples. However, the focus is principally from a business perspective, as compared to social, legal or moral perspectives. As the text is fairly USA-centric, Canadian students may feel that Canadian and possibly Asian business strategies should receive greater emphasis. Overall, I was very impressed with the quality and professionalism of the text. A ‘newbie’ to e-textbooks, I was surprised by the usefulness of additional features available with electronic textbooks (searching, imbedded URLs, etc.). As noted above, the textbook content is somewhat USA-centric. Examples and in-text case studies tend to focus on USA companies, and occasionally USA laws/regulations. However, given the highly integrated nature of Canadian and USA business environments, there is some value in this. And, it was certainly not difficult to incorporate Canadian examples into the Lectures. The text cover all the areas, ideas and topics that would be found in a strategic management course. The pdf version of the book does not provide a table of contents, index or glossary. Examples, case studies, and facts provided are current. Each chapter provides clear learning outcomes, key terms and definitions within the content. The book is quite comprehensive and would be useful in any strategic management capstone course. The content in this textbook is accurate, up-to-date and and error-free. Figures, charts, pictures, tables, examples, facts and case studies provide real world examples. The content represents typical views of other scholars in this field. The content is written from an American perspective. The book is professionally written and easy to follow. There are references for each chapter. While the topics in the textbook follow a format that is comparable to other strategic management courses, the pdf version of the book lacked organization in terms of table of contents, index and glossary. The learning outcomes are clear and the summary (key take away's) provide a solid overview of what to expect and summarizes what has been covered. The text flows well and does not have an interface issues. There are several visual examples provided as well as charts and diagrams that add value to the book. The book does not appear to be distracting or confusing. The text is not culturally insensitive or offensive in any way. The book is written from an American perspective. The content does provide world examples as well as US examples. The textbook would be acceptable and useful in a Canadian context.